The nights are drawing in and that only means one thing...winter is on it's way. 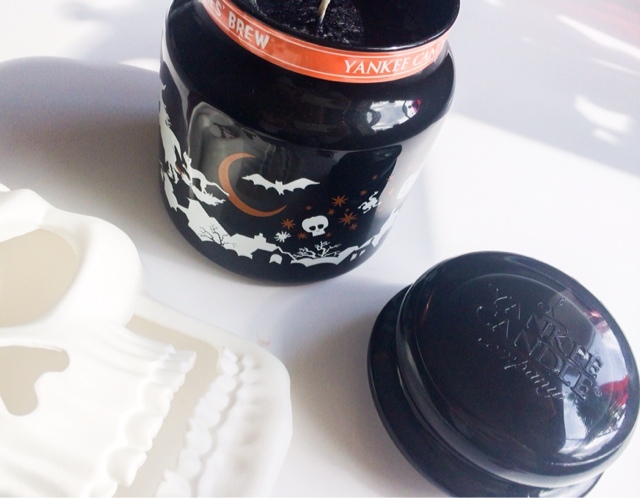 Halloween and Christmas are the only things that get me through the cold gloomy days and what better time than now then to talk about the Yankee Candle Halloween selection? There are three candles in the collection, two old favourites and one new addition. The one I'm talking about today to is Witches Brew* which has seen a come back onto the Yankee Candle site. The other two spooky additions are Candy Corn and Ghostly Treats, and all come in scary Halloween style jars. If you're a fan of sweet spicy fragrances then this will be right up your street! 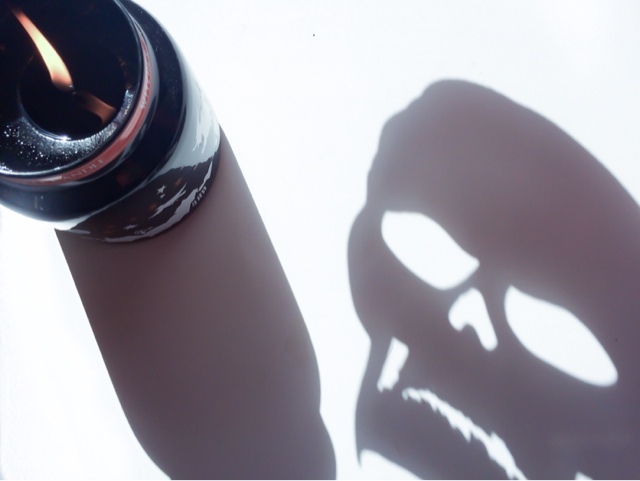 The black spooky casing with orange trim houses such ingredients as Exotic Patchouli and has a smokey cinnamon and clove hint to it. To me it screams cosy nights in and is perfect for this and the Christmas season as it has that rich warm spicy vibe that we all crave that time of year. The scents come in four sizes, tarts, samplers, tea lights and medium jars, which I thick is a great idea, as the large jar would last ages and mean you'll still be lighting Halloween scents in spring! All three candles are avaible now on the Yankee Candle website priced at £16.99. Which scent will you be going for this Halloween? I love yankee candles! I think this year, their halloween themed decor of the candles are really great and definitley could add some festive vibe to your house. I've seen these in stores a few times but I really need to give them a little sniff soon ^^ They look so cute. Thank you for posting, I hope you have a lovely day! i got candy corn a few weeks ago but the witches brew jar is so much nicer! i believe it smells exactly like an october night!